The Paris Accord is our chance, we must take it. When Trump announced that he wanted the U.S. to withdraw from the Paris Climate Agreement this month even the US coal industry advised him against it. ‘We need to be at the table, not out in the cold’ they told him. 195 countries signed the ground breaking global treaty in December 2015 and to date 142 countries have ratified it. It must be the single most important piece paper ever signed. So what does it say? At the Llanfyllin Transition project we have been stopping people in the street and asking them what the Paris Agreement means to them. It is revealing that very few have heard of it enough to know exactly what it says or what the huge ramifications are as we begin to implement it. The core ideas are this: every region, city, state and nation needs to work on its own carbon reduction plan. We have until 2020 to develop these ideas and be ready to implement them. 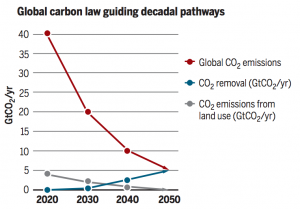 Between 2020 and 2030 we are required to halve our CO2 emissions. Then we need to do exactly that again the following decade and then again. By 2050 our emissions need to be close to zero and not only that but farming, one of the most significant sources of green house gasses needs to move from being a big emitter to a net carbon sink. Yes, we have to transform agriculture into a carbon sequestering process, one that also protects biodiversity and feeds a rising population. It is a huge challenge and one that will over-ride all our other concerns or objectives as the seriousness of the encroaching climate crisis bights ever deeper. Will this save us? Science gives us a 66% chance of avoiding run-away climate change if we achieve these targets. That is like playing Russian Roulette with 2 rounds in your 6 shooter, it is still far from safe. Every day we delay facing up to this challenge is a day wasted and a day our children and grandchildren will live to regret. Before you all get too gloomy I have to say I think this is a fantastic opportunity. Achieving our Paris commitments has the potential to rejuvenate our economy, creating numerous opportunities for the next generations in a way that will revitalise our communities at the same time. Facing up to this requires a complete transformation of food, energy, farming, transport, housing and economy. The era of economic growth at all costs and throw-away consumerism is already over. The evidence is all around us, solving climate and biodiversity challenges will require new economic models and new thinking creating a whole raft of opportunities. With the encouragement of colleagues and I friends I have put my name forward as a Green Party candidate in the local elections on May 4th, not least because I believe we need to register our recognition of the new directions required. My work with the Llanfyllin Transition Project and in permaculture education means that on a daily bases I am immersed in the reality of the challenges we face as well as the many responses and strategies at our fingertips to set us in a new direction. I am convinced this is a change we can embrace and benefit from. We are gong to have to! Join us, we are organising on-going events and publishing regular articles on our website and blog.